Seaside Park is an exclusive development of only eighteen apartments in just two three-storey blocks. They are set in their own private grounds with a large communal swimming pool and a smaller paddling pool for children. This beautifully appointed, spacious penthouse apartment, A-7, overlooks the bay, gardens and swimming pool from the top (second) floor of Block A and was completed and furnished to a high specification in Spring 2011. The apartment covers 105 square metres and has fabulous panoramic views of Mandalya Bay from all three balconies, with the living room balcony being large enough for al-fresco dining. The large living room has two large comfortable settees (one of which converts into a full size double bed), wi-fi and satellite television in the sitting area, as well as a full-sized dining table and chairs in the dining area. The kitchen area is fully equipped with everything you will need for a perfect holiday, including a dishwasher, hob and fridge. Both bedrooms are spacious and have their own balconies. 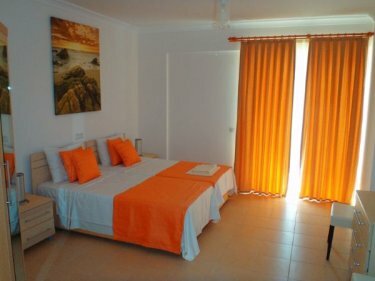 Each bedroom has twin beds which can be put together to form a super-kingsize double or set as twin single beds. The main bedroom has an en-suite shower-room whilst the second bedroom has a separate shower-room beside it, which also contains a washing machine. 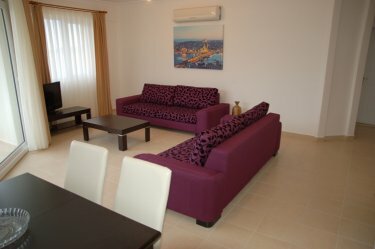 What is included in the rental price? Obviously the rental covers this beautiful apartment, but it also inludes bed linen, towels, electricity, cooking gas and water as well. There are no other charges - it is just great value. There is a really great pool and quiet, sunny gardens. The beach and sea are only a very short walk from the apartment. There are regular dolmus minibus services into the village centre but you may want to rent a hire car, collected from the airport and returned to the airport. We would recommend a hire car if you want to visit Bodrum or play golf at the great Vita Park course which is ten minutes away. We can arrange the car hire for you, if you want. There is plenty of space to park the hire car beside or behind the apartment. Apart from enjoying the sun, views, pool, gardens and peace, you will want to enjoy some of the excellent fresh fish and food served in Gulluk. 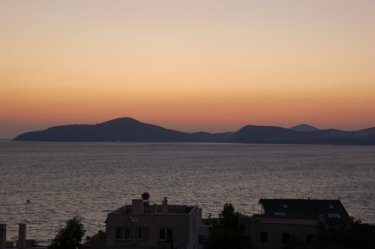 You may also want to visit Bodrum to enjoy the exciting cosmopolitan flavours of this great resort town. You could also visit some of the historic sights such as Iassos.